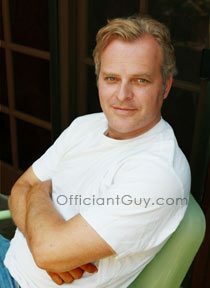 I have been a popular Los Angeles wedding officiant for many years. As a wedding officiant, and I have officiated weddings of all kinds, including civil wedding ceremonies and religious weddings, all over Los Angeles County and Orange County. Many of those weddings have been in Pacific Palisades wedding locations. Some of those weddings have been at Temescal Gateway Park, a wonderful Southern California wedding venue that you might consider for your wedding. 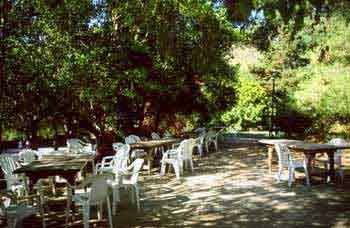 Nestled in a quiet canyon just east of the Pacific Palisades coastline and bordered by the majestic Santa Monica Mountains, Temescal Canyon Park has several different indoor and outdoor wedding banquet halls. This affordable wedding location is home to a native plant landscape and a rich coastal wilderness conveniently close to the city, its unparalleled natural beauty will make you feel as though you’ve entered another world. A favorite spot is Woodland Terrace, a wide field of lush green grass where children can run and play or large weddings may be held surrounded by trees. It is conveniently located close to Woodland Hall which features a floor to ceiling slate fireplace, dark wood beams, and elegant Craftsman-style chandeliers. 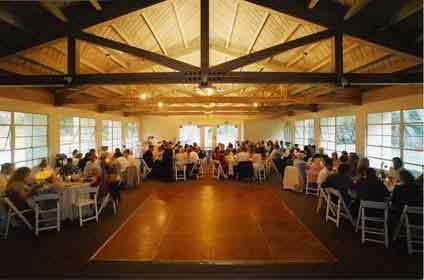 This lovely hall may be used for receptions, rehearsal dinners. It is also a wonderful setting for your civil wedding ceremony or your religious wedding ceremony, Best of all, there is a commercial kitchen available for your celebration. When you plan your civil wedding ceremony or your religious wedding and reception in Pacific Palisades or anywhere else in Los Angeles County or Orange County, consider the beautiful setting of Temescal Gateway Park as your wedding venue. 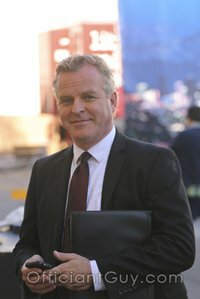 And when you are planning the details of your wedding ceremony, please consider this Los Angeles wedding officiant, the Officiant Guy, as your wedding minister.